The semi flexible insulated sound attenuators can be used in conjunction with any ventilation system to help reduce noise ingression. The construction of these units consists of a multi layered, corrugated, perforated aluminium inner duct and an aluminium / polyester outer jacket. Positioned between the two layers is a 25mm thick sound absorbing material. A membrane is fitted specifically to not let any condensation pass through the wall of the inner duct. 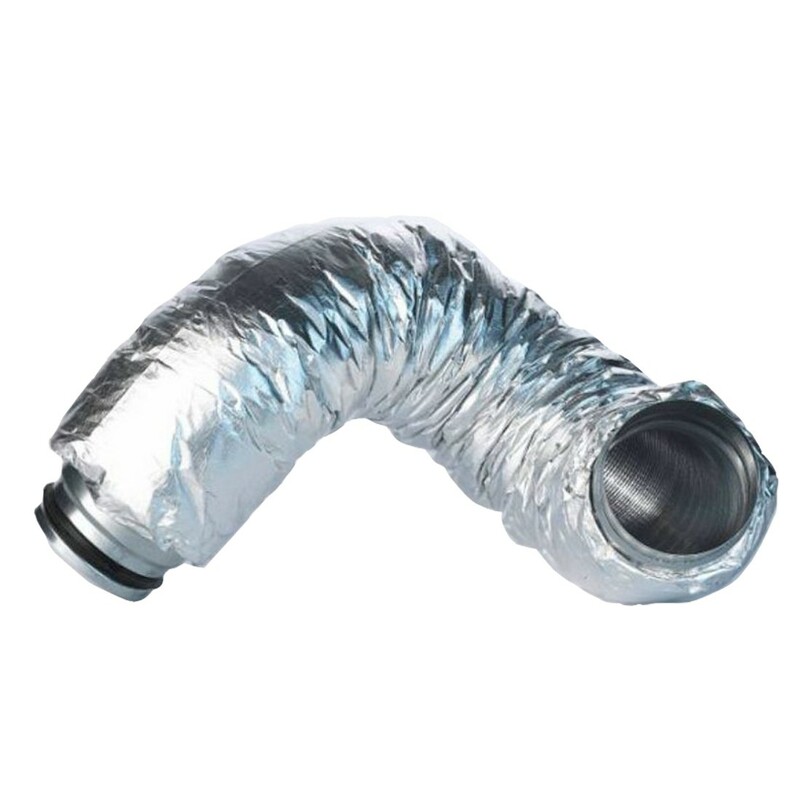 This eliminates any condensation build up between the inner duct and outer jacket. Male galvanised steel connections fitted on each end, have a rubber double lip seal fitted, enabling easy leak free joints. Due to its flexibility they are ideally used as a flexible connection between two miss aligning ducts. They can also be used to helping minimise transferred mechanical vibration / noise down ducting systems. Suitable for temperatures between -30ºC to +140ºC.